What we are witnessing today between Russia and Turkey has all been prophesied by Rabbi Eliyahu of Vilna. And it points to World War Three and the coming of Messiah Yeshua. 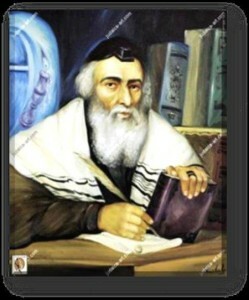 To read all the details of the Rabbi you can simply do a search on Google. What I’ve done here is put together some basic facts to match up with what is happening today, and to say it is scary would be an understatement. With Russia and Turkey about to start the Third World War and the USA with a weak Muslim Leader as President it couldn’t look worse. If there ever was a time to look up for our redemption draws neigh it’s today. With one of our boats down with a blown motor we need a financial miracle and that gives us another reason to be looking up. In over 40 years of ministry I’ve never see so much evil c9ome against this Ministry, it only tells me things are about to begin in a really big way and the devil knows it as well. There are so many things I could write about the contents above but I want to leave it up to you to do a little researching yourself, because it is very important for you and your family to know what is about to happen. As you do some research on the above Rabbi’s you will discover these are men who have been gifted in spiritual and intellectual ways by God, they don’t speak out of order or out of the top of their heads, when they speak we really need to listen. It looks like Putin and Erdogan will go to war, keeping in mind that Turkey is a Member state of Nato, and all the Nato Members under their charter will have to go to war against Russia if they attack Turkey, that also includes the USA. That is putting it in a nutshell. In the mean time Russia is arming Assad with S400 ground to air missiles that there is to no defense against, with Russian troops with their largest and best tanks shipping in to Syria every day. So we now have Russia, Iran, China, Cuba, and Hezbollah fighters all with boots on the ground on our northern border. Looks as bad as it gets and one thing is certain all hell is about to break loose. If we had the money we could have that motor in the boat replaced and installed in less than a week. We still have one 60-foot motor boat but it takes about 90-liters per hour to operate and we need your help. It’s praying time for all of us each of us must know what part God has for us in what is right before us.